Writer/director Damien Chazelle first came to our attention with Whiplash in 2014. That film, about a jazz student’s sacrifices in the pursuit of success, was my favourite film of the last five, if not ten, years. I’m yet to come across someone who did not like it (and if that person does exist, what the hell is wrong with you?) 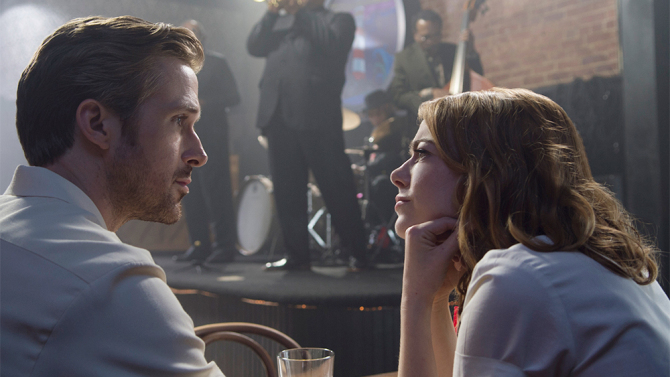 With similar themes to Whiplash, La La Land follows struggling actress Mia (Emma Stone) and struggling jazz artist Sebastian (Ryan Gosling) as they find love and try to follow their dreams. But with ambition comes sacrifice, and underneath the surface of 1950s-inspired fantasy is 2016’s reality (no, not the disastrous political situation but the average LA artist’s reality). La La Land may just beat Whiplash for that special place in my heart, but it’s less likely to be met with the same universal love. That’s primarily because it’s a musical, and we all know those people who are desperate to denounce musicals every time one comes along. While I have read the odd online comment here and there along the lines of “I usually hate musicals but I actually enjoyed this”, it has to be said: those people are morons. The musical numbers are classical Hollywood musical style and the first number almost made me anxious because of how much it would turn a significant proportion of audiences off. It just bursts with that over-the-top excessively cheery vibe that characterises what so many people think ALL musicals as a gross generalisation are, and what so many people hate. If you can get past that, you can carry on with the film. That’s not to say there are big cheesy Hollywood numbers every few minutes. In fact there’s a fair chunk in the middle of the film without a single song. It doesn’t adhere to the usual structure of a musical, but when those numbers do start up, they are pure magic. One of the highlights is a tap routine similar to the likes of Fred Astaire and Ginger Rogers, and there are frequent nods to 1950s classics throughout. If you loved it when Gene Kelly swung around that lamp post in Singin’ in the Rain, just wait till Ryan Gosling does it… Oh how the heart melts. The only somewhat negative thing I can say about this film is that the singing isn’t amazing. Rather than some good quality belting it all sounds very light due to the limitations of the vocals. I do wonder what Anna Kendrick could have done in this role. But having said that, Emma Stone’s acting in this film probably could not have been topped. Her performance is nothing short of spectacular – even if she doesn’t quite have the singing chops – and she deserves the Oscar she’s expected to win. Her chemistry with Ryan Gosling is of course already known; this is their third film together and hopefully not the last. At times it’s difficult to keep your eyes off Stone, but Gosling contributes another outstanding performance. What a pair. 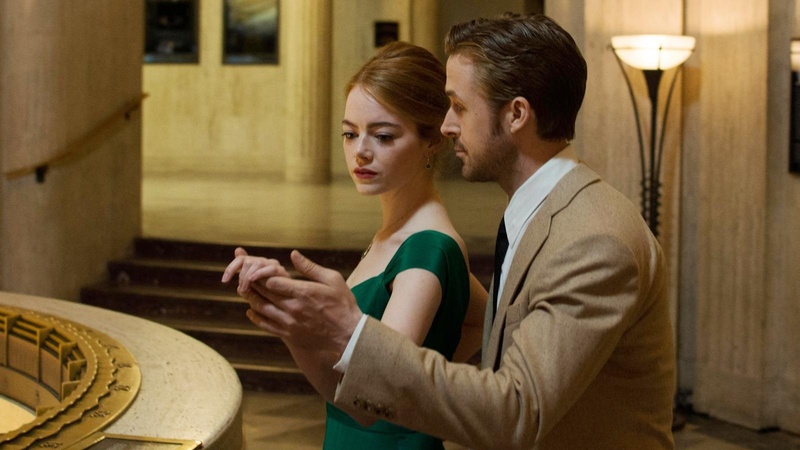 Justin Hurwitz’s jazz score shines most in the instrumental moments and helps transport viewers to the fantasy world of Mia and Sebastian’s perfect romance. The musical sequences are divine and that ending… oh my. It brought tears to my eyes. I’ve seen this film twice and it was even better the second time. Watch it again and again and again. I plan to. 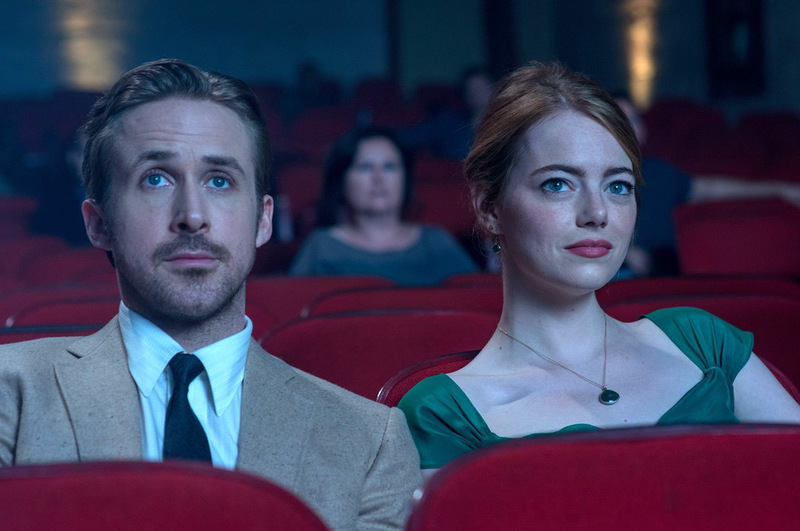 On the one hand, La La Land is light entertainment, refreshing in its simplicity and dazzling in its throwbacks to 1950s Hollywood entertainment. But it knows that these moments are pure fantasy, and it challenges the genre by juxtaposing them with Mia and Sebastian’s reality. It says wouldn’t it be nice to live in this world, even though we know we can’t. It’s here that La La Land stands apart from the old-fashioned films it pays homage to, offering something new and exciting. Keep an eye on any future projects by Damien Chazelle because odds are they will be sensational.